“I highly recommend�Pro Arts�to all Local Mums.�I would like to commend them on their very hard work they put into my boys who attended the Future Stars Camp. The performance was A Class and they loved every minute of it. I felt so proud and touched that they could have achieved so much in such a short space of time." 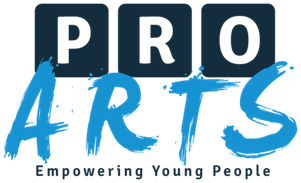 Pro Arts�are a dynamic educational arts company that work with both schools and communities to educate and inspire young people through the arts. 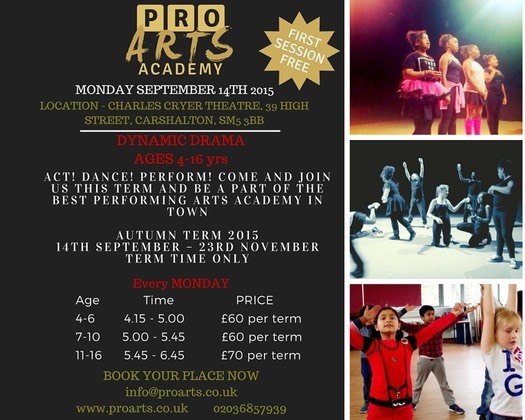 We use drama as a tool to break down barriers, build trust, confidence and self-esteem, enabling young people to develop essential social skills, build relationships and to make positive choices about their future. 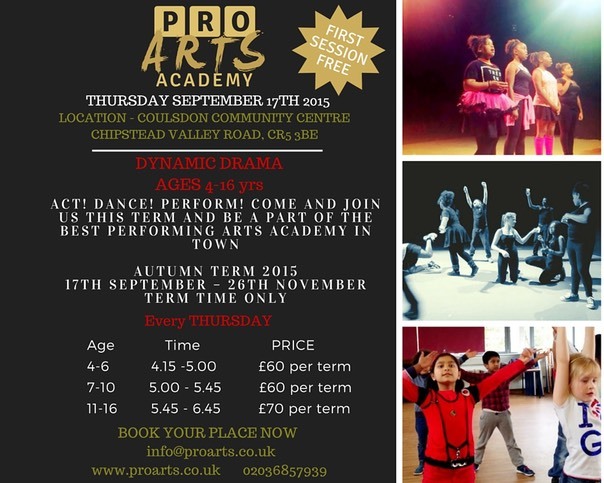 THE FIRST SESSION IS ABSOLUTELY FREE SO COME ALONG, BRING SOME FRIENDS AND SEE IF YOU LIKE IT. We hope you will join us on this exciting venture. It's going be a FUN ride.